If a party chooses to file exceptions to a magistrate’s report and recommendations, exceptions must be filed within 10 days. If magistrate serves a report and recommendations by mail, Fla. R. Civ. P. 1.090(e) allows an additional five (5) days to file exceptions. If a party misses the exception deadline, a court will not consider the party’s exceptions. The party who files exceptions must provide a transcript of the hearing before the magistrate to the court. The transcript must be provided at least forty-eight hours prior to the exceptions hearing. The party who filed the exception must also pay for the cost of the transcript. Due to the cost of the transcript, a party should carefully consider filing exceptions and the likelihood of the court ruling in the party’s favor. An exceptions hearing does not provide an opportunity to retry the case; in fact, the court is prohibited from receiving new evidence. The court’s role at an exceptions hearing is restricted to from a review of the evidence and a transcript of the temporary needs hearing to determine: 1) whether there was “competent, substantial evidence” to support the magistrate’s ruling, and 2) whether the magistrate’s legal conclusions are “clearly erroneous” or whether the magistrate misconceived the legal effect of the evidence. 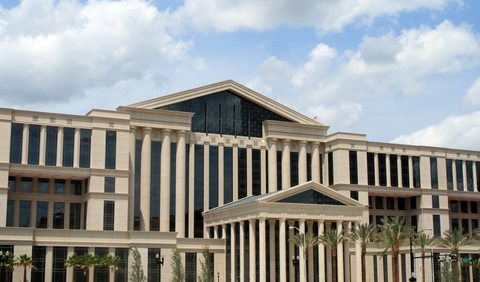 If you have questions about exceptions to a magistrate’s report and recommendations in a Jacksonville, Florida divorce case, or divorce or family law, call, Christopher (“Chris”) Taylor, at 904-339-5298 or contact Chris through this website. Please note that an attorney/client relationship is not established until a prospective client and The Taylor Law Office, P.A. enter into a signed written fee agreement.